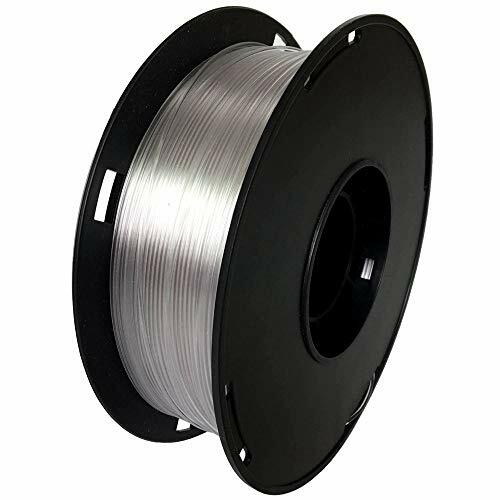 Spool Diameter: 7.88" - Spool Width: 2.64" - Spool Hub Hole Diameter: 2.10"
?+/-0.03MM TOLERANCE: NovaMaker PETG filaments are produced with more precise specification and have a tolerance of only +/-0.03mm, the consistently round diameters provide optimum flow through the extruder nozzle. 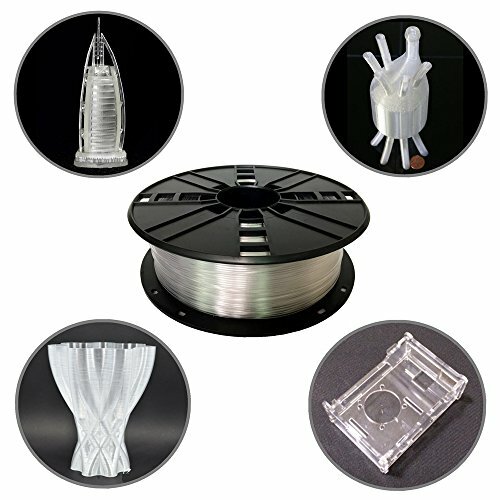 Almost all 1.75mm-specification 3d printers in the market are configured to run with the PETG 3D printing filaments. ?1.75MM PETG FILAMENT: The PETG filaments are used in a broad range of printing applications which have the advantage of Low-Odor and Low-Warp. 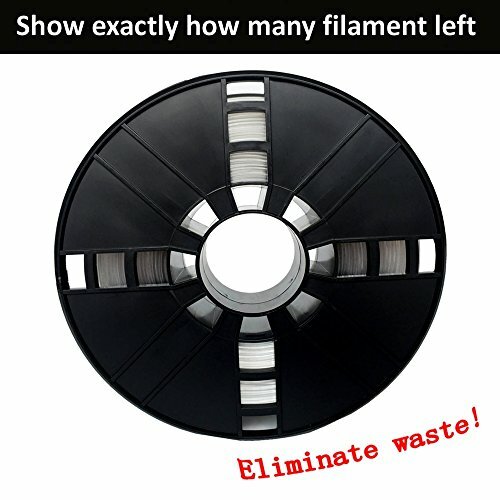 Compared with traditional brittle PLA and ABS, NovaMaker PETG filaments have adjusted the degradability of the material for optimal performance, so NovaMaker PETG filaments are not brittle during 3D printing jobs. 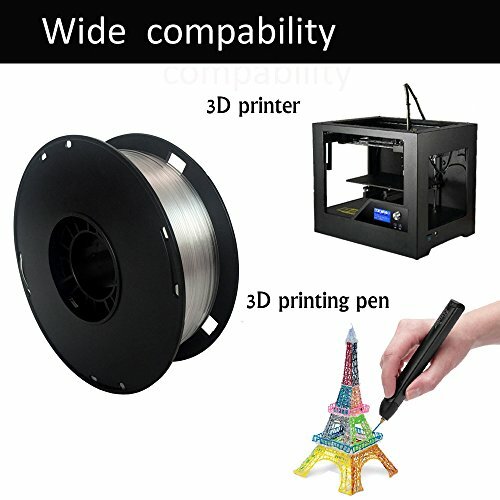 ?High Compatible With Your 3D Printer: Compatible with ALL FDM 3D printers and 3D Pen. Such as AirWolf, Aleph Objects, BCN3D, Beeverycreative, BigBox, CEL, CraftBot, CraftUnique, CubePro, Cubicon, E3D, FlashForge, Lulzbot, MakerBot, Makergear, OrdBot, Prusa, Prusa Research, Robo 3D, SeeMeCNC, Simplify3D, SOLS, Ultimaker, XYZprinting, Zortrax, UP! 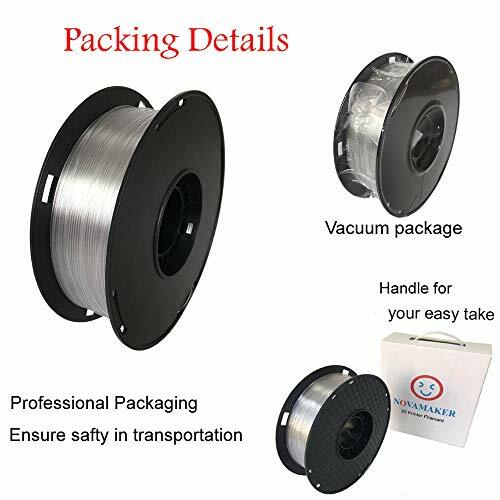 ?100% SATISFACTION GUARANTEE: NovaMaker insists on offering best 3D printer filaments and best customer service for customers. 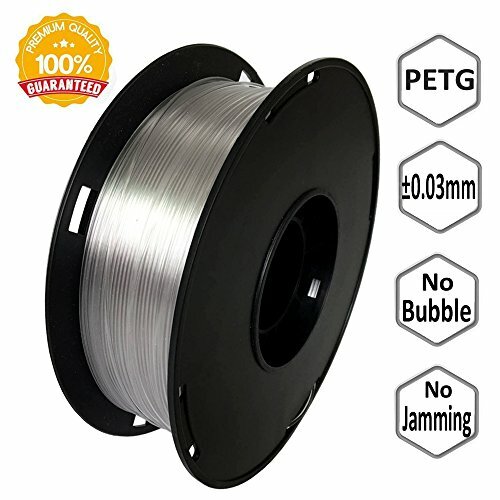 The PETG 3D printer filaments are backed by NovaMaker 90-day Money Back Guarantee with 1-Year Warranty. Seize the chance to click "Add to Cart" button right now!